After upgrading the puny OEM rear sway bar to an ALTA rear sway bar, you will immediately notice a reduction in body roll when cornering, allowing for more of the tire to grip the road. Resulting in better handling, and increasing driver confidence & performance. These are the perfect compliment to any MINI! From performance minded street driving, to those using their MINI for autocross or lapping events, these ALTA Sway Bars will help lower your lap times and make you smile with every turn! ALTA Sway Bars incorporate multiple endlink mounting holes which allow the installer to custom tailor your driving experience. ALTA Sway Bars increase stiffness by a minimum of 100% over the stock bar. By adjusting the endlink mounting position you can increase that stiffness to as much at 400% over stock. *varies by model. See the Specifications Tab above for more detailed information. ALTA Sway Bars feature centering rings that prevent sway bar movement in hard cornering. 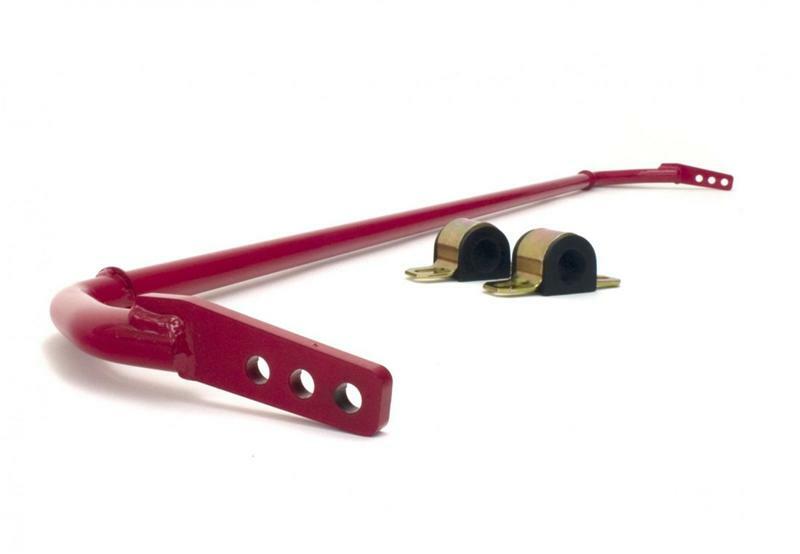 This keeps your sway bar centered and ready for the next corner. 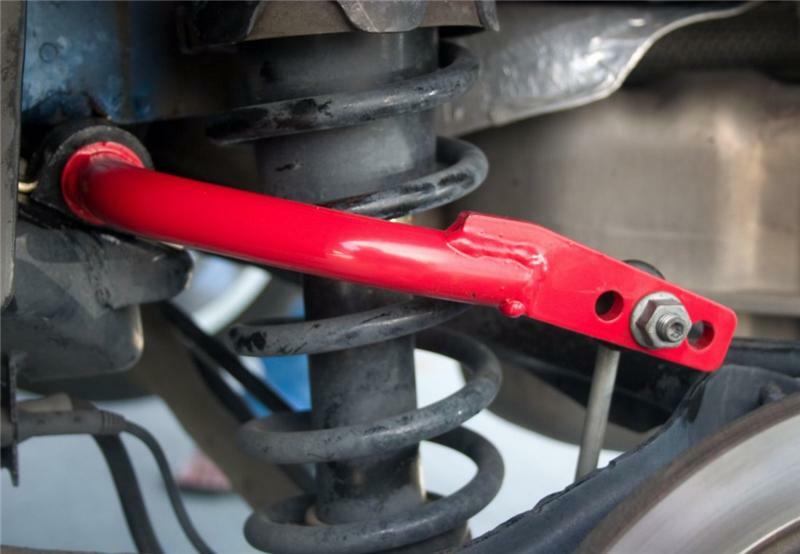 All sway bars include polyurethane bushings for a crisp response and better turn in. Special pockets are carved into the bushing surfaces to capture grease and extends the interval between re-greasing. ALTA Performance sway bars come in two different sizes. 19mm and 22mm. Driving enthusiast will enjoy the feelof a 19mm bar while true racers will like the rigidity of the 22mm. The softest setting on the 22mm is reflective of the stiffest setting on the 19mm bar. Competitive manufacturers of hollow bars will attempt to argue that the weight reduction they offer, is a huge advantage over solid bars and is worth the significant price increase. Realistically for a daily driver the difference in weight is unnoticeable. 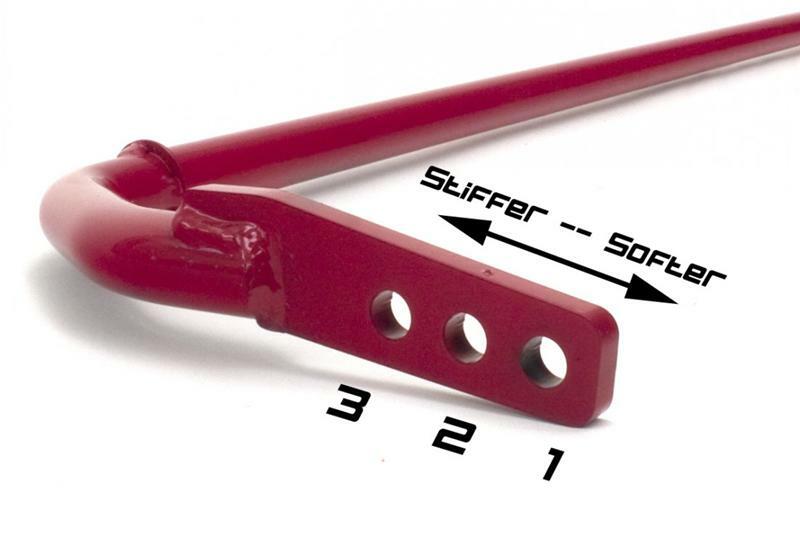 The difference between most aftermarket sway bars, hollow and solid is only 2 lbs! If your worried about weight, ditch your spare tire for more than TEN times the weight saving. ALTA Performance uses a precision laser to cut the multi-point, sway bar ends from plate steel. Using a jig, we weld them onto our bars in the exact location for best articulation and leverage angles. Competitors who cheaply smash their bar ends in a press (same way the factory saves money) and simply drill holes for endlink mounts will try to convince consumers that laser cut steel and precision welding is some how inferior??? and inexpensive??? It just doesn’t make sense. This increases our production costs, but we know it is the better part for you!